There is great value in writing a book about your chosen profession. Becoming the author of such a book immediately elevates you above your competition and better positions you as the authority in your industry. This is what has happened to a number of our clients who have written their own books, all of which became Amazon Best Sellers. However, writing a book by yourself can be a lot of work – especially if you hate writing. When you work with BizSmart Publishing, you don’t have to write anything. We interview you for your book, transcribe and edit the content from the interview, and pull everything together for your own book. 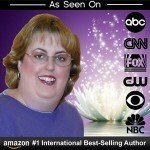 This includes tweaking the content, formatting the book, designing the cover, listing it for sale through Kindle Direct Publishing on Amazon.com as well as through Amazon’s Create Space platform for a softcover edition of your book. So all our books are…..
Short and to the point – each one ranging from 100-150 pages. The digital attention span economy has everyone reading more, but it trains us to want everything fast. This reality isn’t going to change anytime soon, so we help you to meet your prospects where they are by offering accessible books that address some of their most pressing issues. Once you’ve got your best-selling book created, new media and speaking opportunities begin appearing, clients are willing to pay more for your services and referrals begin coming in out of nowhere. We have been involved in helping over 50 entrepreneurs get their book in front of their prospects. Donna Gunter, author of Biz Smart Quick Guide: 10 Strategies to Online Visibility for More Traffic, Clicks and Profit!, helps entrepreneurs, consultants, speakers, coaches and professionals stop the client chase by leveraging their knowledge to gain authority status in their industry, then dramatically amplify their message and show how to convert the new audience into high paying customers. She does this by creating newsworthy events that position professionals as the top authorities in their field, then maximizes their exposure for the event on sites of ABC, NBC, CBS, & FOX affiliates plus other newspaper and authority sites. Some of the newsworthy events she has created for her clients include radio, television and podcast interviews; profiles pieces on authority websites; magazine articles; and featured experts in published books. Donna opened her first online business as an online business manager/virtual assistant in 1999 and successfully built this virtual company from her small, rural, East Texas hometown using only connections made online and authority positioning marketing strategies. From 2000-2004 she trained women to create businesses as Virtual Assistants for a VA training company while also running her own business. After coaching and training virtual assistants for several years, she made the leap into professional business coaching and unveiled her internet marketing coaching company in 2003, and then founded OnlineBizU.com, the premier online marketing strategy and training membership community for service business owners until 2014. Donna holds a B.S. in Communication Disorders from Lamar University and a M.Ed. in Student Personnel Services (Higher Education Administration) from the University of South Carolina. She is also a Certified Internet Marketing Specialist. Diplomas on The Wall: B.S. in Speech Pathology/Audiology from Lamar University, Beaumont, TX and M.Ed. in Student Personnel Services/Higher Education Administration from the University of South Carolina, Columbia, SC. Biggest Surprise: When my husband took me out to a meal at a local Indian restaurant — I was floored and overjoyed to discover that one had opened in our podunk little town! Biggest Secret: If I told you..it wouldn’t be a secret anymore! Little Known Fact: I’ve owned just 3 vehicles my lifetime — a 1977 Ford Granada, a 1987 Toyota Corolla hatchback, and a 2001 Honda CR-V.
My 15 Seconds of Fame: When I appeared on the front page of the North Adams Transcript almost every day for a week or so (in 1997) when the Youth Center Inc. (where I was Executive Director) was embroiled in feud with the Massachusetts National Guard over our location in the National Guard Armory (We lost the battle and had to move out).